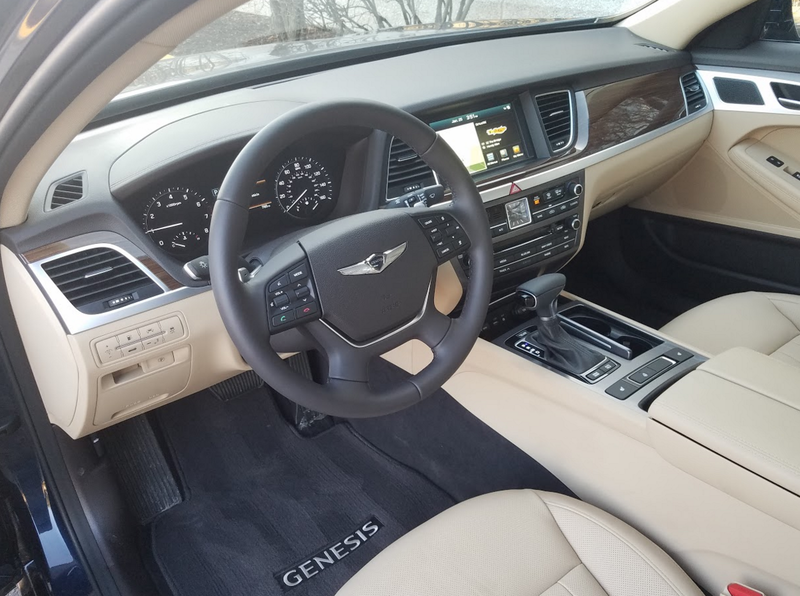 As concluded in our test-drive report earlier this year of a 2018 Genesis G80 Sport, the luxury arm of parent Hyundai — which just became a separate make for 2017 — has presented some very strong products right out of the box. The trunklid shows off the winged Genesis badge, which certainly seems more striking than the simple “H” that used to be there when the G80 was the Hyundai Genesis. However, this is not the feat it might seem. 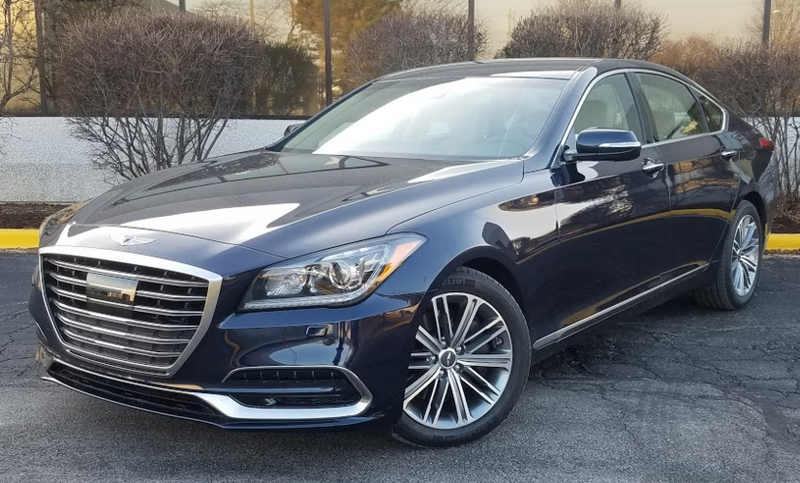 The smaller G80 was previously sold as the Hyundai Genesis and just received minor changes in its transition to the Genesis nameplate, while the larger G90 — our Best Buy selection in the Premium Large Car class — is at least partially based on a car that debuted a few years back as the Hyundai Equus. Both moved “up market” when it was discovered that few folks who could afford a $50,000+ car were going to spend it on a Hyundai. Trouble was, both were actually very good cars. And they continue to be. One thing that differentiates the previously driven G80 Sport from the 3.8 version discussed here is the engine. The Sport is a new model for 2018, and it brings with it a turbocharged 3.3-liter V6 making a stout 365 horsepower. The 3.8, by comparison, has a non-turbo 3.8-liter V6 (bet you knew that) making “just” 311 horsepower. But frankly, that’s enough. Although both models are also offered with a 5.0-liter V8 pumping out 420 horsepower, we think few will find the “lesser” engines lacking. 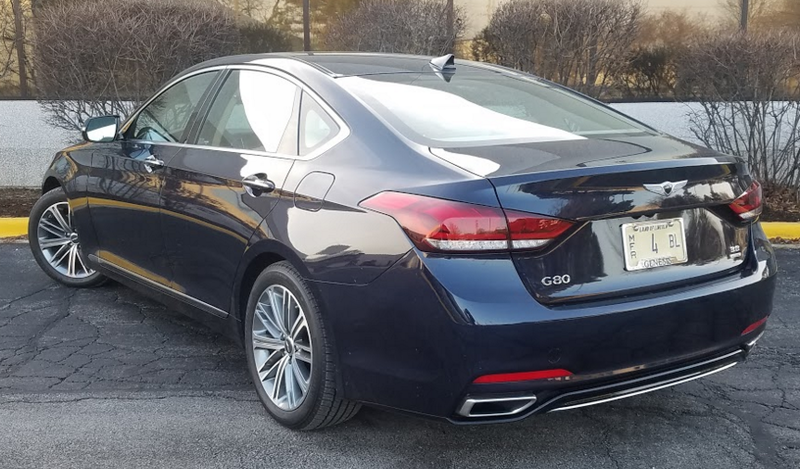 Not only did our test G80 3.8 average less than 5.7 seconds in the 0-60 sprint, it gets a strong full-throttle jump off the line, and aided by quick kickdowns from the 8-speed automatic transmission, provides very responsive passing power. 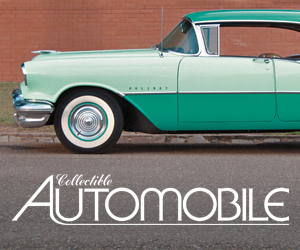 Nothing about the interior looks as though it’s set in a car priced at well under $50,000. Perhaps that Hyundai upbringing pays off here …. Ride quality is good, but not quite great. The only problem comes over small bumps, where the tires thump and create a bit of a sharp reaction, but larger bumps are absorbed in stride. The G80 is also very quiet, with little road or wind noise on the highway. Interior materials are quite opulent, which might be expected for the class, but perhaps not so much for the price. Both the audio and climate controls are fairly easy to figure out and use — not always a “given” nowadays — and visibility is quite good all the way around, with our only complaint being rather thick side pillars that block the driver’s over-the-shoulder view. Interior storage is likewise quite good — highlighted by a huge console box with “bomb-bay” doors — with the added bonus that the cupholders and several of the storage bins are covered for a more “finished” look (and to hide contents inside from prying eyes). The trunk is big enough, which is good, as the rear seat backs don’t fold down to expand the area, though there is a good-size pass-through. Not as good is cargo versatility. 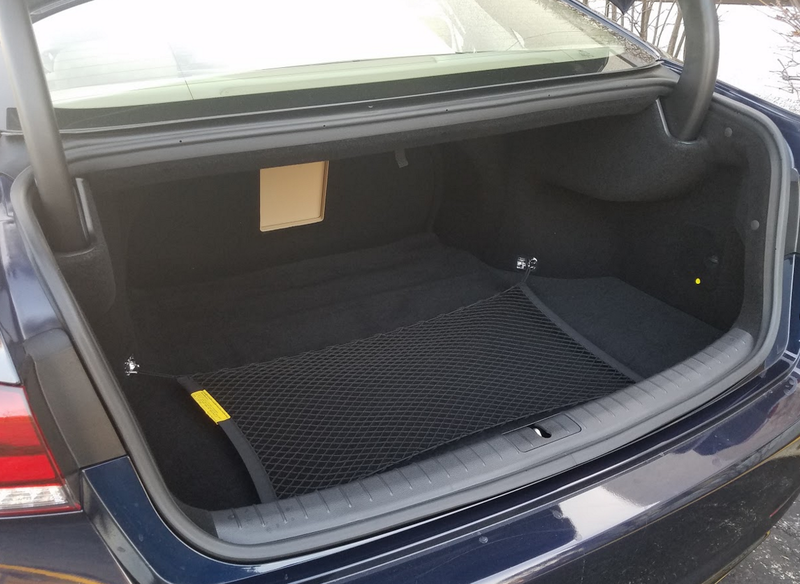 Although the trunk is large enough, sickle-shaped hinges dip into the load area a bit (though they’re covered to prevent cargo damage), there’s no “official” under-floor storage space, and the rear seat backs don’t fold to expand the area, though there is about an 8-x-12-inch pass-through for skis. Interior room is about what you’d expect from such a large car, with plenty of adult headroom and legroom front and rear. Our only complaint is that it’s a long reach to the front door handles if the doors are fully open, as the handle is in the armrest rather than being a vertical one at the leading edge of the door, which would be closer. The bottom line is that the G80 is a really attractive car with an equally attractive bottom line. Those who shied away from it when it wore a Hyundai badge would be well-advised to give it a long, second look. Relatively simple controls mark the G80 3.8, which (thankfully) lacks the Sport version’s center-console control knob. The hour was late (or very early, depending on your perspective). The expressway traffic was very light. The snow was steady — but the plows weren’t out in force yet. As such, this driver was able to get a lengthy demonstration of the G80’s all-wheel drive under less-than-ideal road conditions, and it performed admirably. The situation absolutely dictated slower-than-usual speeds, but at something much better than a creep. There wasn’t a bobble or a wiggle on highway lanes where snow had a chance to build up because there wasn’t consistent traffic creating ruts in which to follow. 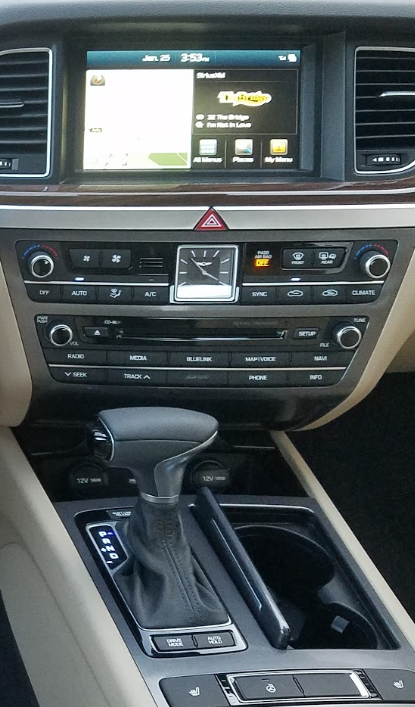 Unlike the G80 Sport that Consumer Guide® previously tested, this car came without the console-mounted central controller for audio and navigation — which was just fine with this reviewer. 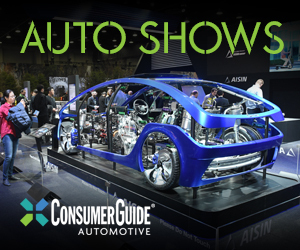 Controls for this car were easy and intuitive to use directly on the touchscreen without the attention-diverting machinations of tap-and-twist central controls. Fuel economy could be better — this tester saw just 16.7 mpg from a 135-mile stint with 70 percent city-type driving. However, the level of room and features for the price (the AWD G80 costs $2500 more than the rear-wheel-drive version) makes it a premium-sedan bargain. Even in unoptioned base form, the 2018 Genesis G80 offers premium-brand ambiance at a mainstream-brand price. Written by: The Daily Drive staff on March 9, 2018.